‘A certain woman who had an issue of blood for twelve years, had suffered many things by many physicians, had spent all she had and was no better but rather grew worse. 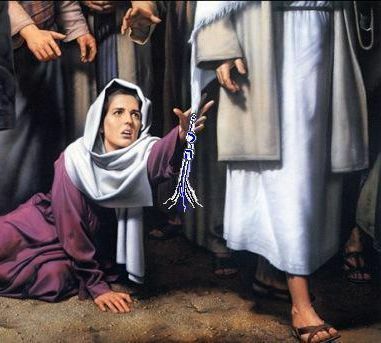 Immediately the flow of her blood was dried up and she felt in her body she was healed of her affliction. He looked around to see the woman who had done this thing, but the woman, fearing and trembling, knowing what had been done to her, came and fell down before Him and told Him the whole truth. Jesus said to her, “Daughter, your faith has made you well. Go in peace and be cured of your disease” (Mark 5:25 to 34). ‘Be strong in the Lord and in the power of His might. Put on the whole armour of God so you may stand against the deceits of the devil, for we are not wrestling against flesh and blood but against evil spirits of wickedness in the heavenly realm. 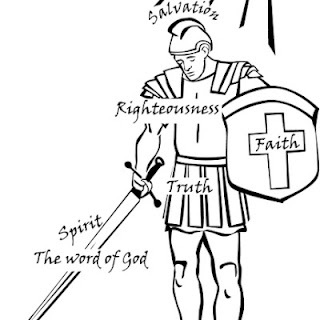 Therefore, put on the whole armour of God so you may be able to resist on the evil day, and having done all to stand, stand therefore, having the belt of truth around your waist, and having put on the breastplate of righteousness, and having shod your feet in the preparation of the Gospel of peace, lift up the shield of faith with which you can quench all the fiery darts of the wicked one; and take the helmet of salvation and the Sword of the Spirit, which is the Word of God’ (Ephesians 6:10 to 17). Abigail, Wife Of King David was an exceptionally wise woman. When her wealthy, rebellious husband Nabal refused to feed David's army, David and the army came to wipe them out, along with all the servants. 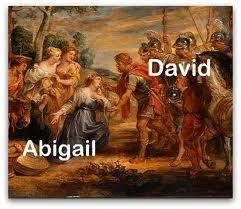 Abigail intervened, fed the army and bowed down to David, whom she knew had been anointed to be king. Her actions helped save David and thus Israel. How many of us would like to have a little of Abigail's wisdom and courage?